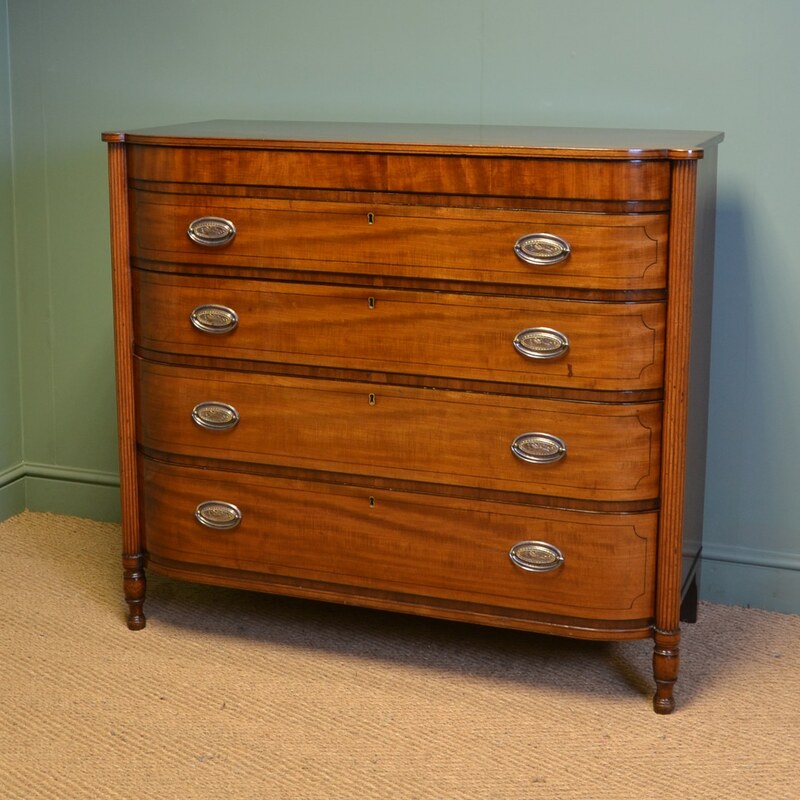 This striking bow fronted chest of drawers circa, 1830 provide an adequate amount of storage due to the large proportions. 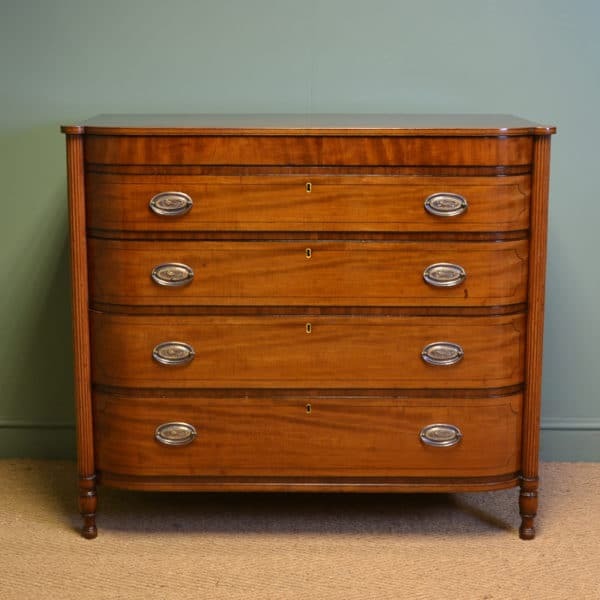 This striking bow fronted chest of drawers circa, 1830 provide an adequate amount of storage due to the large proportions. 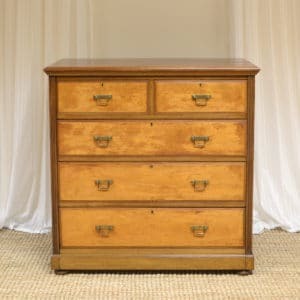 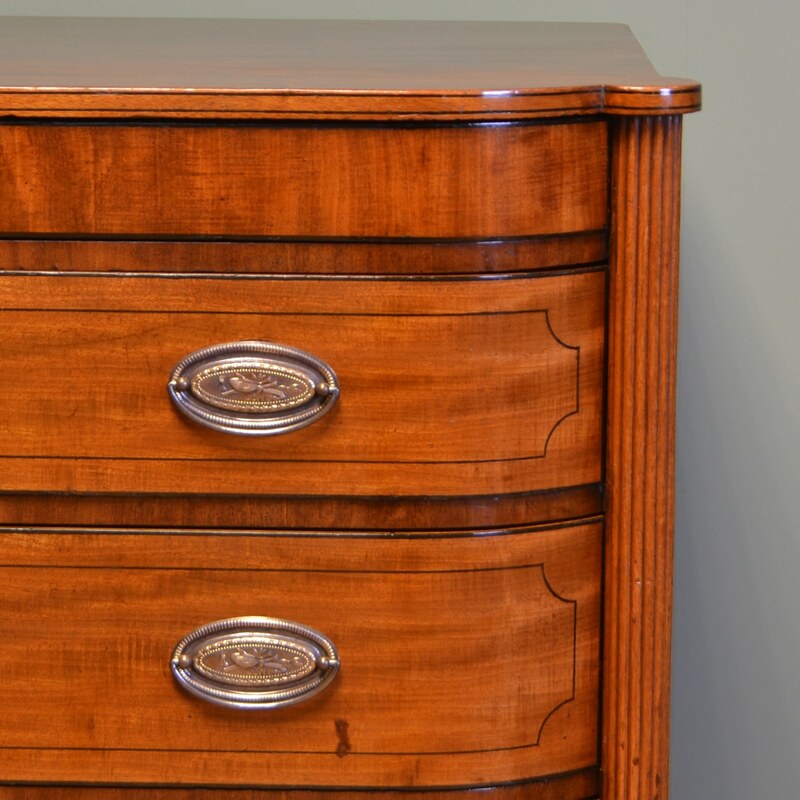 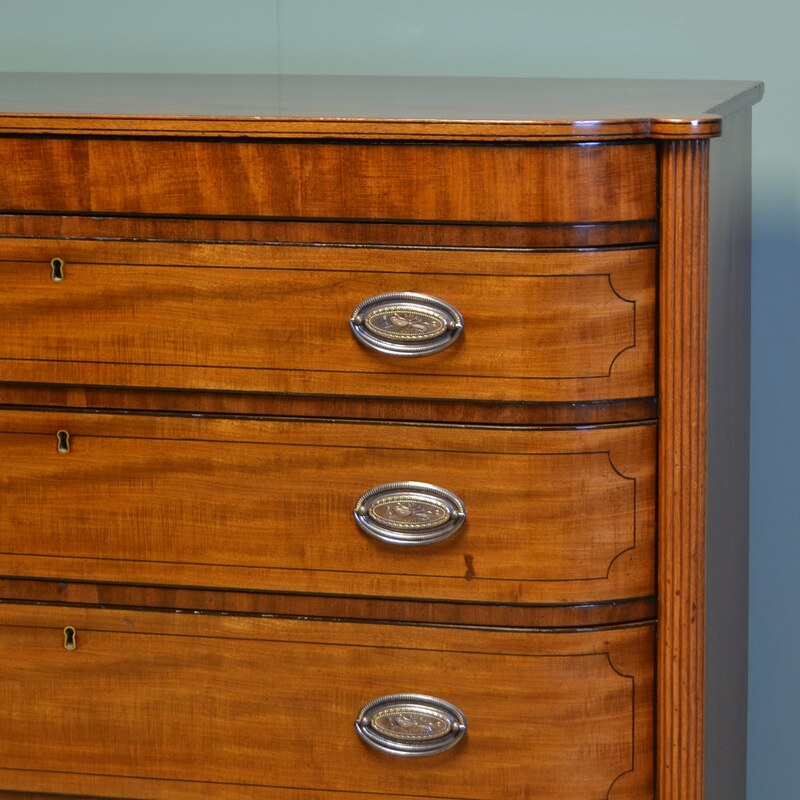 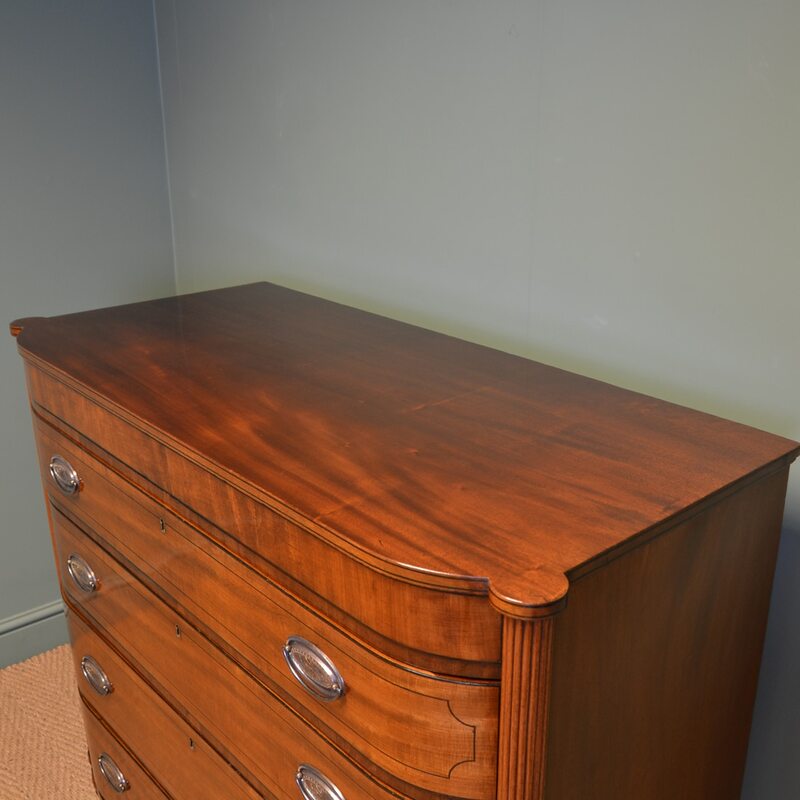 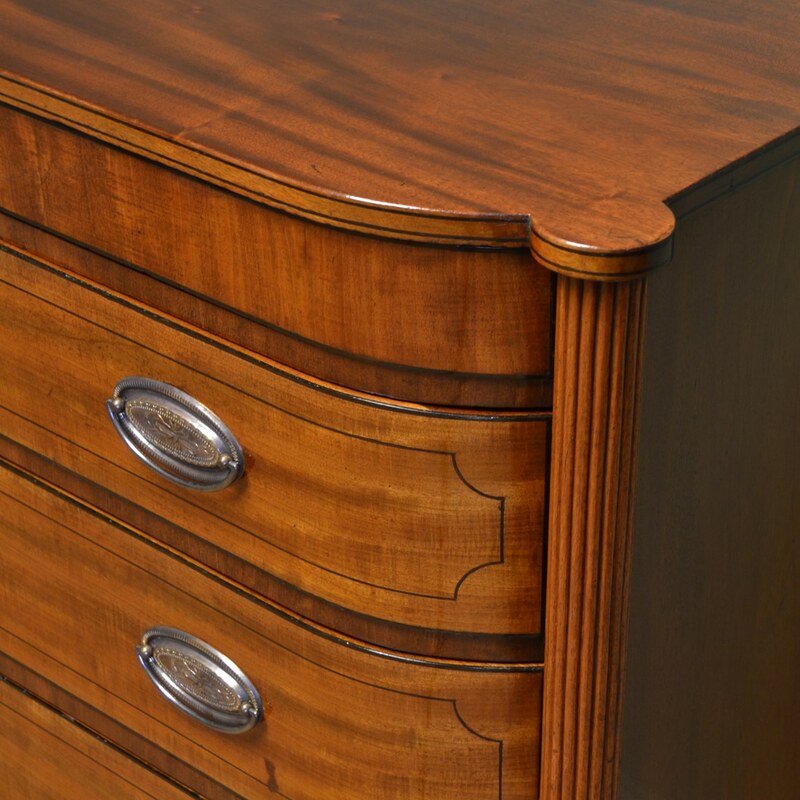 The top is beautifully figured above a concealed drawer and four graduating drawers with ebony string inlay and decorative re instated oval handles. 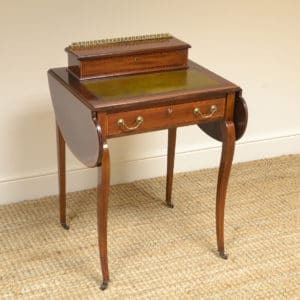 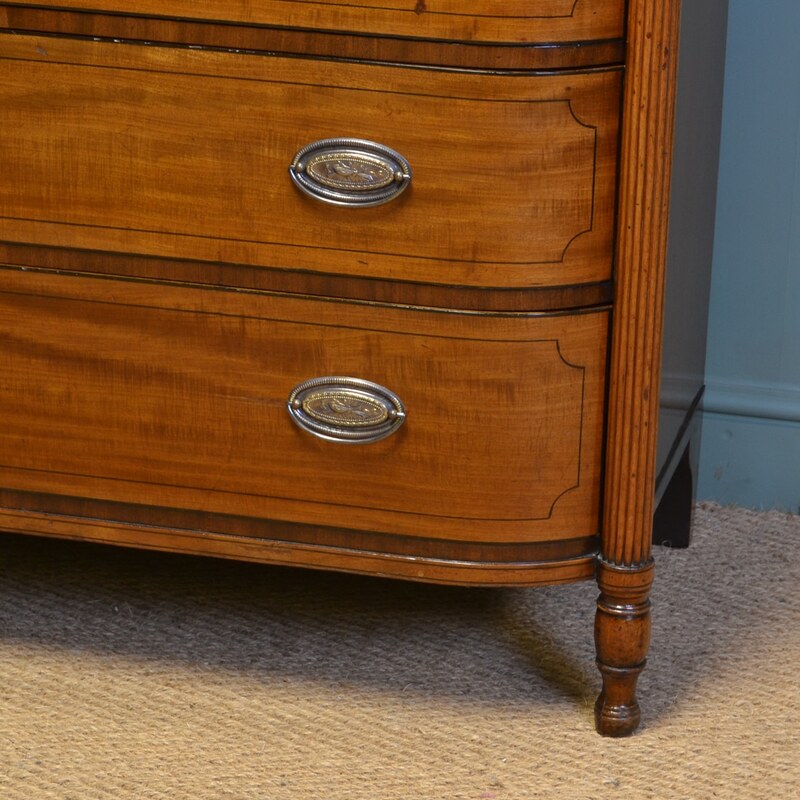 The corners have beautifully reeded columns and stands on elegant turned bun feet. 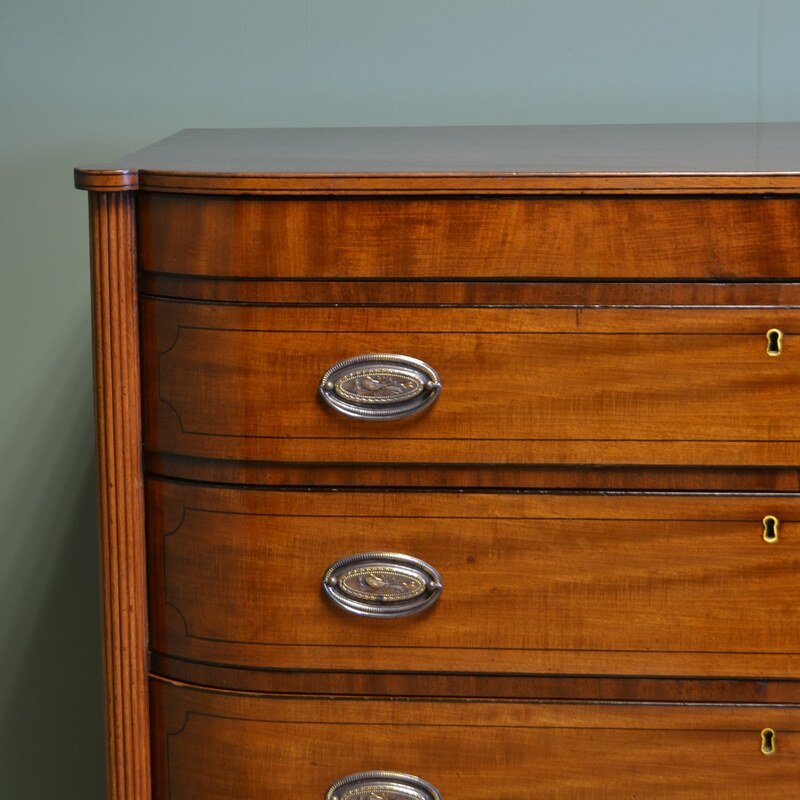 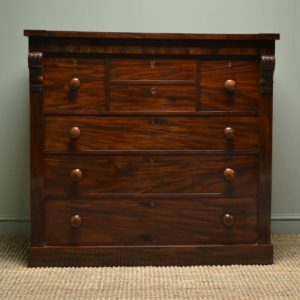 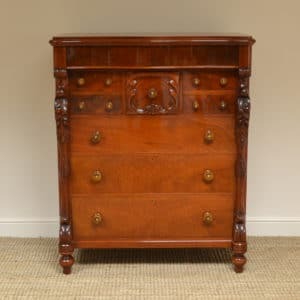 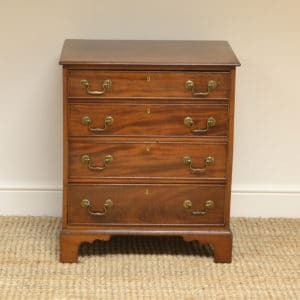 The mahogany has aged to a rich warm shade with a striking grain, good patina, is in very good condition and has been beautifully cleaned using a traditional form of wax finishing.